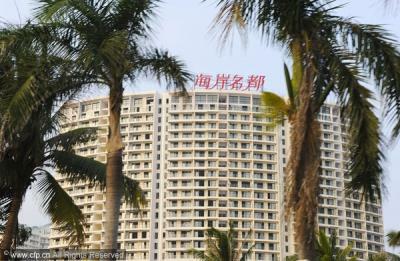 Home transactions in Sanya on Hainan Island totaled 993,711 square meters during the first 11 months, reports Sofun.com. During the 11-month period, transaction area fell gradually each month. The average transaction price dropped from 26,499 yuan per square meter in January to 22,786 yuan per square meter in November, a fall of about 4,000 yuan per square meter. Benefiting from China’ move to build up Hainan into an international tourism destination, home prices in Sanya had risen rapidly with large transaction volumes. In the wake of the various property curbs, home prices in Sanya had shown weakness as property developers resorted to offering discounts in order to achieve transactions. Policies limiting home purchases are expected to be continued in 2012 and home prices are expected to decline further, said industry experts. Zhang Ping, Chairman of the National Development and Reform Commission, said China will consolidate the results of its property tightening measures in 2012, and seek to further curb gains in home prices. According to the National Bureau of Statistics, 49 out of a total of 70 major cities posted month-on-months fall in new home prices in November. New home prices in Sanya in November fell 0.2 percent from October. Shares of Shenzhen Properties and Resources Development (000011) fell 0.13 percent to close at 7.47 yuan today.